Can I Use an Asset Purchase Agreement Template? California recently surpassed France and Brazil to become the world’s sixth-largest economy. As such, California is home to many businesses with significant assets. In this fast paced, value creating culture, it is not unusual for asset purchase agreements to be completed with pre-printed forms and templates. 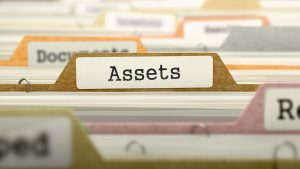 Unfortunately, many business owners learn the hard way that an asset purchase template fails to address the particulars of the business assets being acquired or sold and provides inadequate protection for the financial and legal interests at stake. An experienced corporate attorney can help protect your company by structuring an asset purchase agreement that is suited to your transaction, enforceable, and able to cover a wide array of contingencies that may arise. The biggest problem business owners encounter with asset purchase templates is that they only apply to the best-case scenario. The unfortunate reality is that nearly every transaction varies – a little or a lot – from the best-case scenario. For example, inadequate or casual due diligence investigations can leave a buyer owning a worthless asset. Insurance coverage must also be carefully negotiated to protect against destruction of an asset that is not covered by any policy. Representations and warranties must relate to the assets being bought, whether source code, customer lists or physical inventory, and must contain specific provisions to provide meaningful protection for the seller and legal recourse for the buyer. Indemnity clauses, too, can offer important protections, but those protections can be meaningless if not thoughtfully prepared. The change of control of the asset and protection from unwanted liabilities must take into account the type and condition of assets being sold to avoid costly misunderstanding. In the case of employee assets – such as an entire branch or division – mistakes in change of control can lead to lost jobs and substantial visa filing fees and uncertainty. Moreover, asset transactions can have costly tax consequences. Business owners who fail to investigate, negotiate, and provide for these consequences in a written asset purchase agreement are often exposed to undesirable tax liabilities for the transaction. Not every contingency can be avoided, but companies can protect their assets by planning for these contingencies, and mitigating the damage they cause. This requires an “ounce of prevention”, meaning a thoughtful consideration of the likely risks and the appropriate provisions clearly stated in the written asset purchase agreement. At Structure Law Group, our skilled corporate attorneys have extensive experience in meeting all legal needs of any type of business entity. We will ensure that your legal and financial interests – both corporate and personal – are adequately protected at every step of corporate existence. Schedule your consultation with an experienced Silicon Valley corporate attorney by calling (408) 441-7500, or sending an email to slgadmin@structurelaw.com.